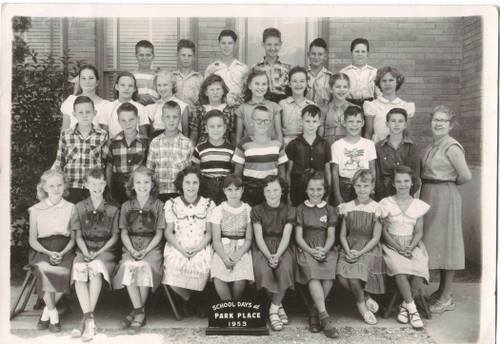 Many thanks to Sheila Steele Howard for sending these Park PLace Elementary class photos, as well as supplying the names of many of the students. Can you supply other info or make corrections??? 2nd: Richard ?, Tommy Ayers, John Dodson, Dickie Allen , Travis Ghee , Steve Altman, Kenneth Luedeke, ? 4th: Charles Crider, Charles Pridgen, Jay Gowen, ? , Donald Hannsz, Douglas Pope.